You’re hot, but it’s cold. You can’t sleep. Your mood is all over the map. And to top it off, you have acne on your face like you did back in high school. Could it really be the dreaded “Change”? Menopause is something all women experience; however, at what point in our lives and how we perceive this experience varies immensely. What is menopause? It is the cessation of menstrual periods for a year. On average, it occurs around the age of 50-52. Peri-menopause, the transitional time leading up to menopause, can start as early as 30 or 40. Determining if you’re menopausal or peri-menopausal varies from woman to woman. For some women, with symptoms of hot flashes, night sweats and insomnia, it is fairly obvious. For others, their symptoms are more discrete. There are many emotional, physical and mental symptoms of peri / menopause, including: menstrual irregularities, hot flashes, vaginal dryness and thinning, skin changes, fatigue, decreased libido, mood swings, depression, changes in memory, sleep disturbance, scalp hair loss, facial hair growth and acne, heart palpitations, nausea, headaches, urinary tract infections, joint pains, osteoporosis and heart disease. However, it’s important to note that experiencing some or even many of these symptoms does not automatically mean you’re going through menopause. A simple lab test can tell us if what you’re experiencing is linked to a hormonal change. Research regarding the negative impact of Hormone Replacement Therapy (HRT) has many women looking for natural solutions to help them manage menopausal symptoms. Maintain a positive outlook regarding this transitional period in your life. Your feelings about these changes can greatly impact your experience. The more women I meet, the more I realize that menopause is a unique experience for every woman, which means treatment really should be individualized. What works for one woman may not have an effect on the next. This is a multi-factorial experience and it’s important to work with a health care professional who will take the time to ensure your treatment addresses your personal menopause experience. Menopause is a rite of passage and can be a positive and meaningful experience. At the very least, please know that you do not have to suffer through your peri-menopause and menopause. There are so many natural options that can be tailored to your needs and effectively treat without causing harm. Want to learn more? The Women’s Encyclopedia of Natural Medicine by Tori Hudson is a great resource. Or, better yet, speak with a Naturopathic Doctor – we are experts in natural interventions for menopause or any of your health care concerns. 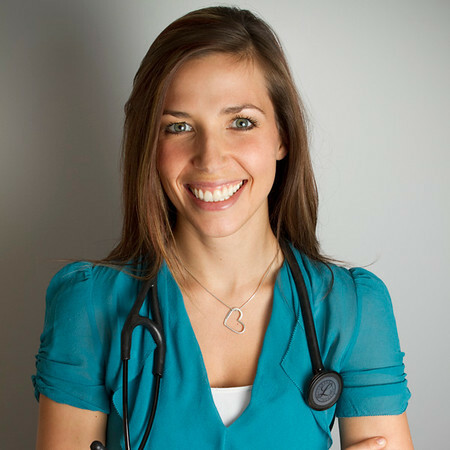 Dr. Michelle Peris is a Naturopathic Doctor whose goal is to inspire health through educating, motivating and empowering people. She has a family based practice out of a clinic in Oakville, Ontario. Contact Dr. Michelle today to book your 15 minute complimentary consult.